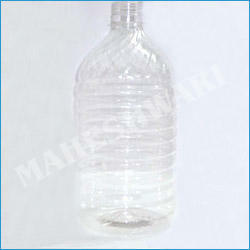 We have a great reputation in this industry for offering a quality assured array of Edible Oil Pet Bottle. Known for its leak proof nature, these edible oil jars are widely used in oil industry for packaging different types of oils in order to retain the quality of oil long time span. In addition to this, these edible oil jars are checked from our end before delivering to customers. Our esteemed clients can avail these edible oil jars from us in various customized options at competitive prices.